Directed by Manuel Pureza and Sérgio Graciano, ‘Linhas de Sangue’ is an unexpected film and wants to position itself as a genre yet to be explored in national cinematography. 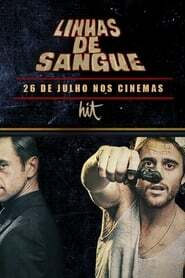 The film, which takes the form of a comedy action, tells the story of a group of evildoers that threatens order and peace in Portugal. Heroes, spies and conspiracies – with a lot of comedy to the mix – are the ingredients of what one guesses as the next Portuguese blockbuster, created to amuse the spectators, from the youngest to the oldest. “This was a project that began seven years ago and is now undoubtedly a dream come true for both filmmakers,” said Isabel Figueira, one of the acting actors. The film gathers 54 actors, 23 bands and has two directors. “I want to see a lot, to laugh at myself and others,” said Tiago Teotónio Pereira, one of the protagonists of the plot. “It’s a real movie trip.” In the cast there are also names like José Fidalgo, José Mata, Paulo Pires, Dânia Neto, Marina Mota and José Raposo, but the soundtrack also has big names.